One of the joys of being on site at this time of year is catching sight of these visitors. 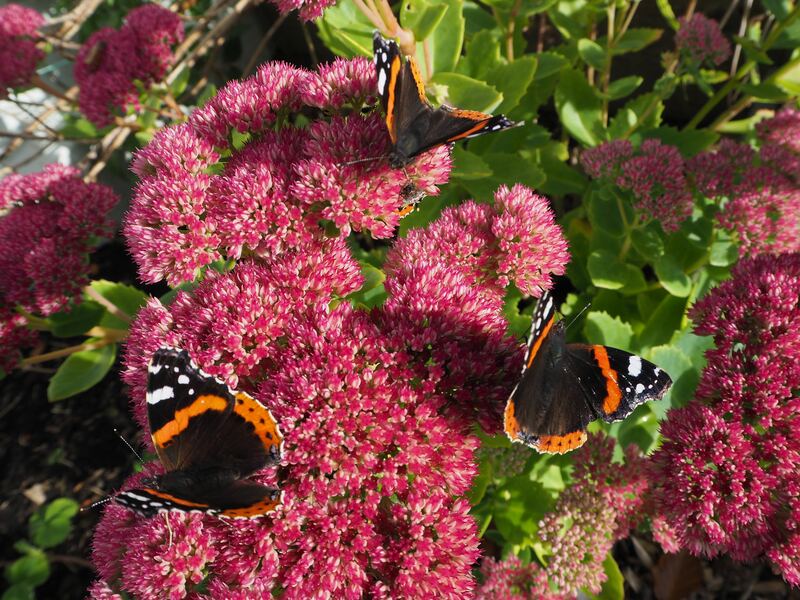 Sedum seems to attract them in huge numbers. I counted a dozen on this plant at different points in the day. Ah well, their days are numbered down to precious few I guess, but they certainly add more than a little magic while they are with us. 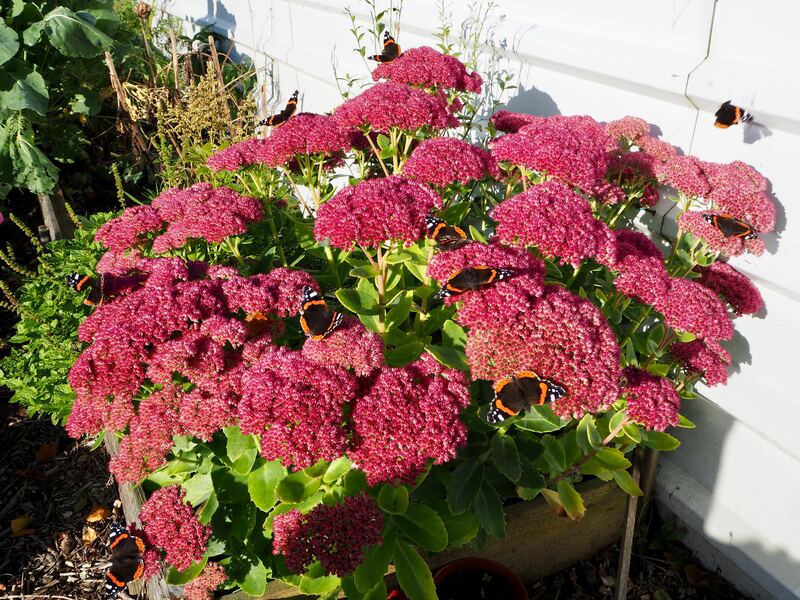 I’ll have Sedum to split for the coming season: if you’d like one let me know. You will have to find your own butterflies, however: these are hefted to my plot – I hope!